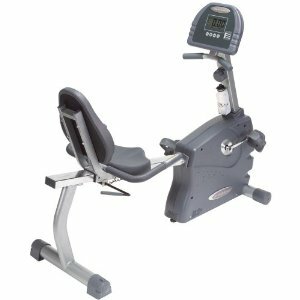 Endurance B2R manual recumbent exercise bike is designed to make getting in shape easy and affordable. Its main features includes friendly console with large, easy to read display, contact heart rate, 15 tension levels of smooth consistent magnetic resistance challenge and over-sized Dura-Firm seat padding. Heart Rate Measurement: Contact Heart Rate. Seat Adjustment: (14) Position recumbent with durafirm upholstery. Assembled size: 51″H x 57″L x 21″W. Resistance Types: Electromagnetic Resistance System. Console Readouts: Time, Speed, Distance, calories, Heart rate. Residential Warranty: Lifetime frame, Lifetime parts, 1 year labor. ToughTrain 3.0 out of 5 Do not have much features but its quiet good for normal daily cardio workout. *Note: Most of the sites, stores or shopping portals listed above sell Endurance B2R Manual Recumbent Exercise Bike with discounts and other exciting offers. There is a possibility that the some of above websites are not selling Endurance B2R Manual Recumbent Exercise Bike now. Toughtrain.com is not liable for such cases or instances. Also we do not recommend any seller for Endurance B2R Manual Recumbent Exercise Bike and a buyer should buy from where he/she gets best deal with quality of products, service and on time delivery (shipment).